Despite an early-week surge and persisting Brexit fears, the Australian Dollar (AUD) plunged on Wednesday and the Pound Sterling to Australian Dollar (GBP/AUD) exchange rate was able to recover its losses. After opening this week at the level of 1.7447, GBP/AUD plummeted over a cent on news of a US-China trade truce. On Monday, GBP/AUD hit an 11-month-low of 1.7217. However, GBP/AUD rebounded from its lows on Tuesday and during Wednesday’s session Australian Dollar weakness made it easier for the pair to recover all of its weekly losses and trend nearer the week’s opening levels again. Sterling (GBP) was able to recover due to broad Australian Dollar weakness, as investors sold risky currencies on fresh US-China trade uncertainties and Australia’s latest growth report came in well below expectations. The latest Brexit developments kept the Pound volatile though, and limited the British currency’s potential for gains. The Pound outlook was riddled with yet further uncertainties on Tuesday evening, as UK Parliament voted to hold the UK government in contempt of Parliament for refusing to publish the full legal advice it had been given over its Brexit plan. Following the vote, concerns about the UK government’s stability worsened. UK Parliament also voted in favour of an amendment giving Parliament more control over the next steps in the Brexit process, in the event that UK Prime Minister Theresa May’s Brexit deal is blocked by Parliament in next week’s key vote. The Sterling outlook saw additional pressure on Wednesday, as Britain’s November services PMI unexpectedly printed at just 50.4 – worryingly close to the 50 point mark separating contraction from growth. This was despite the unexpectedly strong UK manufacturing PMI data from earlier in the week. 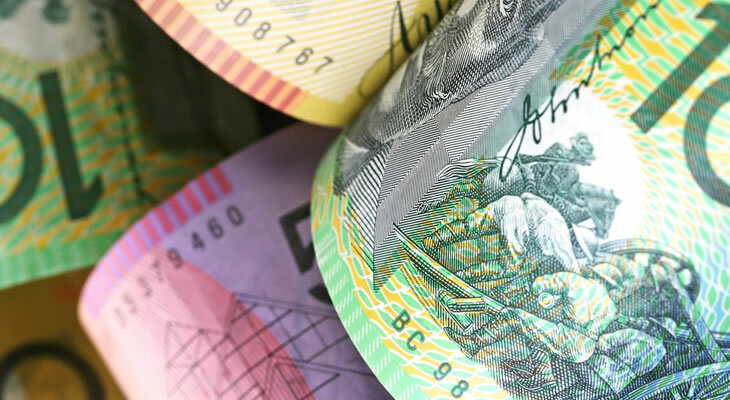 The market bullishness that surrounded the Australian Dollar at the beginning of the week appeared to quickly evaporate overnight, as the ‘Aussie’ outlook was suddenly dampened by fresh trade and growth fears. As a risky trade-correlated currency, the Australian Dollar surged earlier in the week on market hopes that US-China trade tensions would lighten during an announced 90 day trade truce. However, those hopes faded on Tuesday night as US President Donald Trump took a combative tone toward trade relations in a tweet. He warned that further trade tariffs were on the way if the nations did not reach agreements. This worsened concerns that trade tensions would persist and have a negative impact on global growth, which made investors hesitant to buy riskier currencies like the ‘Aussie’. On top of this, Australia’s Q3 Gross Domestic Product (GDP) growth results printed a significant miss on Wednesday morning and this deepened the Australian Dollar selloff. Australian growth was forecast to slow to 0.6% quarter-on-quarter but come in at a strong 3.3% year-on-year. Instead, the quarterly figure slumped to just 0.3% while the yearly figure unexpectedly slowed to 2.8%. The Pound to Australian Dollar (GBP/AUD) exchange rate has recovered this week’s losses, but it still remains within three cents range of its worst levels since January. Investors may be hesitant to keep buying the Pound, especially as uncertainty over the future of the Brexit process worsens and markets anticipate next week’s key UK Parliament vote on whether to support UK Prime Minister Theresa May’s Brexit deal. As a result, the Australian Dollar’s movement may be more influential, particularly as more major Australian data will be published tomorrow. Australia’s October trade balance and retail sales results will be published during Thursday’s Asian session, and if they impress investors the Australian Dollar could steady from its Wednesday tumble. Of course, further developments in US-China trade tensions will drive riskier trade-correlated currencies like the ‘Aussie’ too. If officials make efforts to play up the chances that de-escalation in trade tensions is possible, the Pound to Australian Dollar (GBP/AUD) exchange rate could be in for losses again.